What a number of names this silly animal can be called by! I proudly present to you Monty II! In Europe we call them marmots, and I believe in the US people also know what animal you mean if you are talking about marmots, but they are also called groundhogs, woodchucks, or whistle pigs there. Yes, whistle pig is my favourite name from now on! Look at this new Monty, isn’t he a marvellous, cranky-looking crochet marmot? Perfectly suitable for Groundhog Day, I would say! Many years ago I designed a marmot amigurumi pattern after a holiday in the Alps. During our hikes, we often heard a strange high whistle, and after longing to find out what made the noise, we finally saw the culprit. It was the first time we saw Alpine marmots, and I absolutely loved them. Such funny-looking fluffy beasts. After seeing the marmots, of course I had to make a pattern for them. I later realised that the silly animal in the much-loved movie “Groundhog Day” is a marmot, too, how perfect! 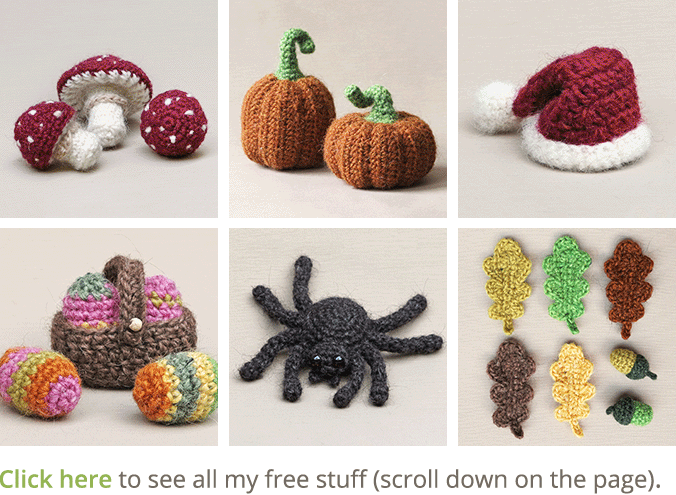 Last year I updated many of my older patterns. 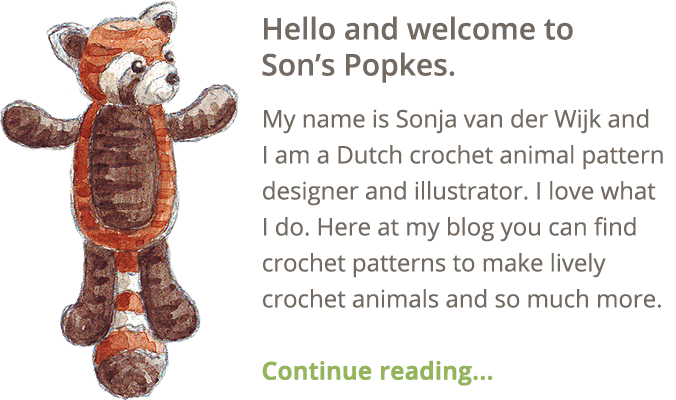 Some crochet animals got a little makeover, and others stayed the same but got an updated pattern with more pictures and a better layout. There were a few patterns I skipped, and Monty was one of them. I realised that I had learned so much in the past few years that I would make him quite different if I redesigned him. I decided to temporarily put his pattern on hold till I found the right moment to design a new one. And because at the beginning of the new year it always is a bit difficult for me to start something new, this seemed the perfect moment to make Monty II. And look at him! He looks so much more like a marmot than Monty did. When I made the beaver pattern, I realised that proportions similar to that would be very suitable for a marmot. I designed a new head for Monty with little crocheted-in eyebrows and a new body with a much better shaped yellowish belly. The first Monty was a cute little doll but this one has much more of the marmot attitude, don’t you think? Check out these pictures of this cute marmot/ woodchuck/ groundhog/ whistle pig amigurumi; below them you can find info about and links to buy the pattern. Monty is made with Istex Lett Lopi, a 100% wool with a lot of fuzziness. I chose to make the ears, hands, feet, and tail a little bit darker than the body and head, but doing them all in one colour works perfectly well, too. Monty is 5.5 inch / 14 cm high when made with this yarn. 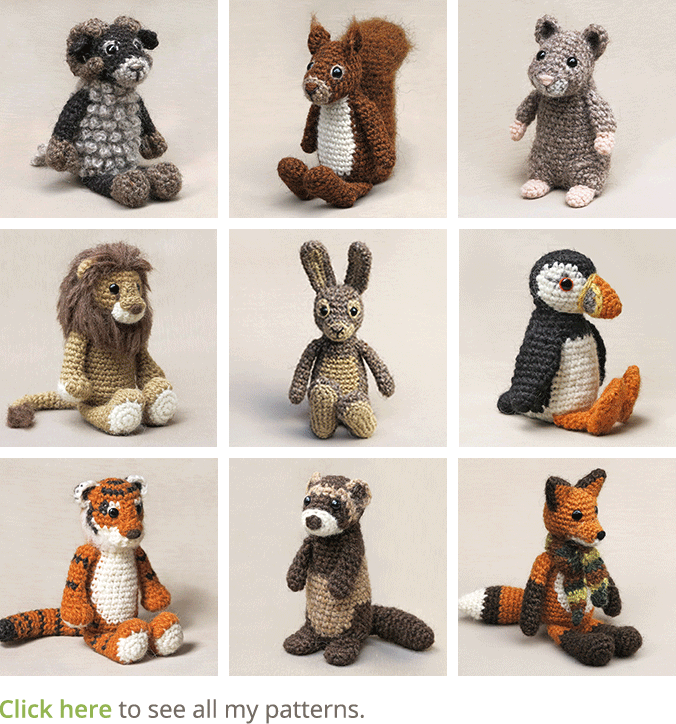 The pattern is written in US terms and contains a clear and colour-coded description of how to crochet and assemble the animal, with extra illustrations and example pictures at the bottom to help you get everything right. In the pattern you can also find what materials you need, the yarn colour numbers, in short, everything you need to know to make your own fluffy marmot amigurumi. All the additional information you need to know about this pattern you can find in the shop listings. You can buy this pattern in my shop at Ravelry, Etsy or order it here. This pattern has a one dollar release discount till Monday the 28th of January.